For a long time it was a close race and 007 was winning with all the gizmos, martinis (shaken not stirred), while he beat the baddies into shapeless pulp and still finding time to well you know what. Then one day I saw Indiana Jones, galloping on a stallion into the bowels of a steep gorge and as we were face to face with a lost civilization where a legendary Knight Templar, blessed with eternal life yet cursed with inability to move away from his haloed chambers was waiting for his replacement. 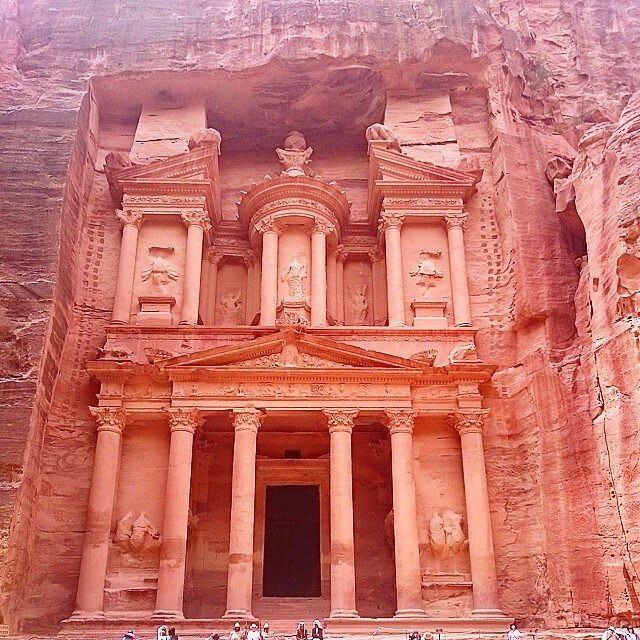 The moment when the rose-colored Petra unveils to you was forever itched in my mind as if some Nabataean has chiseled the UNESCO world heritage site and one of the 7 wonders in the world, in my mind just like they carved a whole city in the rocks 2 millennium ago. My decisive moment has arrived and I was no longer torn between following my heart or following my heart, the gizmos, the fast cars the shapely babes and 007 all lost to the galloping horses and tales of and good old-fashioned Harrison Ford. Yes it is true this Mr. Ford weaned me from me from fast cars and I was firmly in saddle to go where desi Traveler has never gone before. 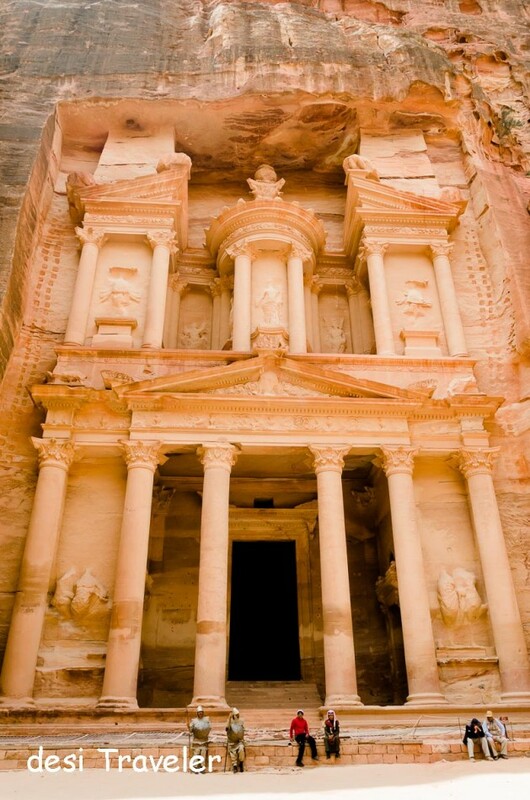 It was a long wait of many years before I set my eyes on the Treasury or Al Khazneh in Petra. I am no longer an impressionable teenager, yet I have dreamed about this moment for more than 2 decades. 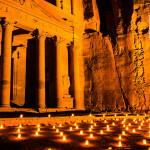 Now thanks to Jordan Tourism Board I was about to visit Petra, the once lost city that is part mystery, part magic and part mythology. 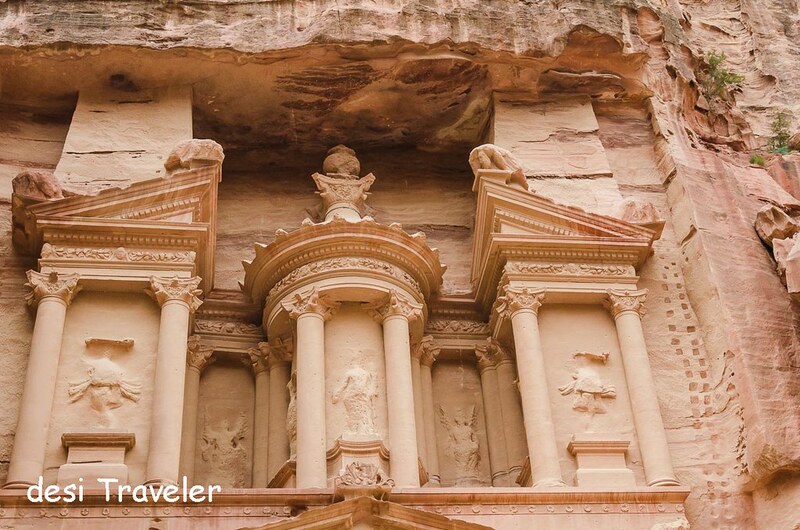 Combine the 3 Ms and you get the rose-red city of Petra, named so by the Greeks as that is what they called a stone. We were staying just across the Petra Archaeological Park and I could see the gates to Petra from the hotel. But when I have waited for so long a bit of more waiting was in order. 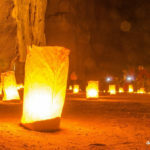 You walk on pebble path towards the Siq (or the shaft); a natural gorge carved over millions of years leading to a split in the sandstone rocks of the Wadi Musa, or Valley of Moses, whose brother Aaron is buried on a hilltop in Petra. The Siq is what adds to the mystery and allure of Petra, for not only it served as the entrance to the mysterious city, it also provided it protection from invaders, as they could be easily ambushed in the narrow pathway at places only about 9.8 feet wide. We were chatting with our guide Adanan and listening to the story of Petra. Every single stone in Petra has a tale to narrate. A God was worshiped here; a Frankincense shop sold aromatic incense, essential oils and myrrh there. And that altar over there? Well that was for performing marriage ceremonies, though some archaeologist think it was for sacrifices, my take is marriage, sacrifice what is the difference?. This hole? Oh this is where the smart water engineers of Nabataean people built a sinkhole to collect sediments from flowing water so that it became fit to drink. This rock well it is natural but it still looks like a fish dorsally while resembles an Elephant from Anteroposterior axis. Every now and then you see ceramic water channels built by Nabataean engineers 2 thousand years ago to make sure a steady supply of potable water to a city build in rocks in the middle of desert. As I slowly walked at the bottom of the Siq, the sky became a sliver of blue visible only when you stretch your neck or lie down on the floor. But I don’t recommend doing that for Tangas, Camels and Donkeys still trample the cobbled path just like they did during the time of Romans and before that. Only difference is now they carry tourists from around the world and not finest silks from China, or Salt, timber, precious stones brought by Tuaregs and Bedouins from central African mines and everything in between from Europe to Central Asia. All the roads may have led to Rome, but they all met in Petra for it was the flourishing center of Trade in the Holy land and the Nabateans were the traders who controlled the essential supply of water in the desert so important for the Caravans to replenish their stocks before they moved to their next destination. 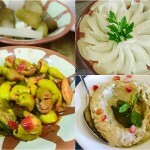 What Dubai is trying to do today in the Arabian deserts the Nabateans did more than 2 thousand years ago. Anyways as I slowly moved forward in the serpentine Siq, suddenly I was blinded by a light so strong that I had to move my gaze away to return back to look at it. Once adjusted to the change in the intensity of light, I realized I am standing in front of the most famous monument in Jordan, one of the 7 Wonders of the world and the UNESCO World heritage site, Treasury of Petra or Al Khazneh, a nom de guerre wrongly assigned by locals who thought it to be site of treasures of Pharaohs of Egypt. 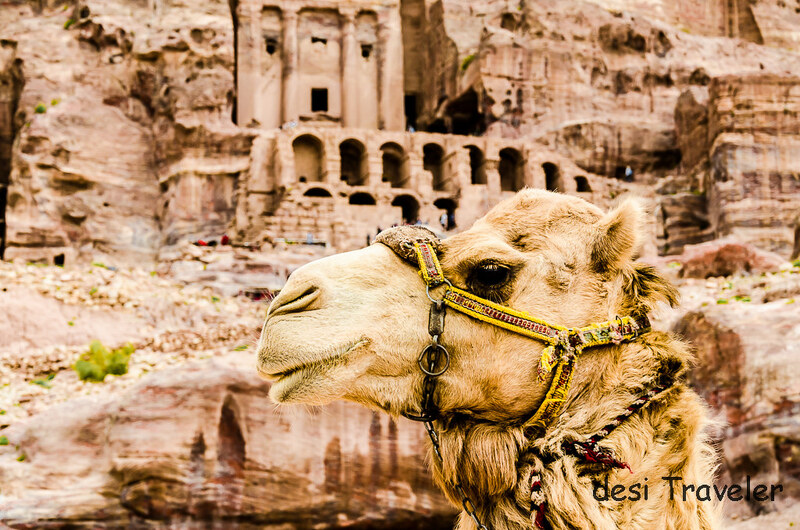 May be there were treasures, maybe there were none but the beauty and historical importance of Petra is priceless and it is our common heritage. This is the place where some of the earliest water management systems of world were built, this is where traders from around the world came from Silk route to Spice route, and this is where various civilizations left their mark. 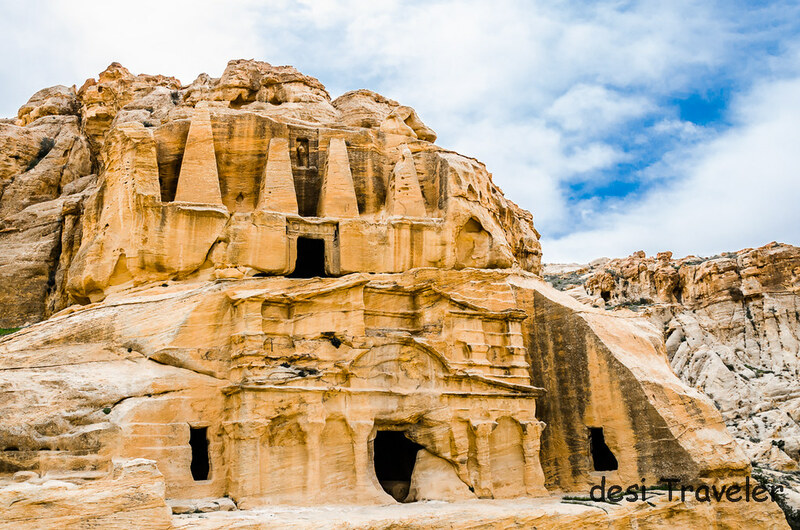 We could see a tomb with Egyptians Obelisks on top, Roman style pillars and theaters carved from stone because the Nabataeans were carvers and loved to chisel in stone and not build. 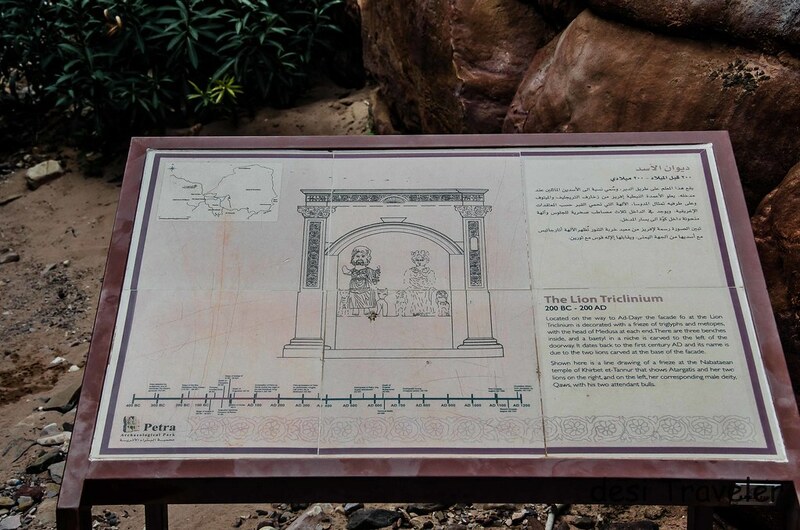 But the most important and fascinating sign that I found but could not visit due to paucity of time was The Lion Triclinium with reference to these two Nabataeans deities. I did clicked the board mentioning them and if you read the description the female goddess is described as Atargatis, who has 2 lions as her companion and her corresponding male deity – Qaws who has two attendant Bulls. May be I am reading too much but may be the Nabataeans the global trading powerhouse they were, had some trade relationship with Indians? The Lion Triclinium : The goddess with lions and the god had bulls as companion. Sounds familiar ?? Do you also agree with me that the female goddess with lions and the male god with bulls as his attendees could be similar or same as Indian God Shiva and the Goddess in one of her many forms Shakti, Durga, Sheran Wali Mata ( which literally means the mother with lions ). I see no reason as to why the Nabataeans were not aware of India when the food in Jordan is so fragrant with spices that originated in India. 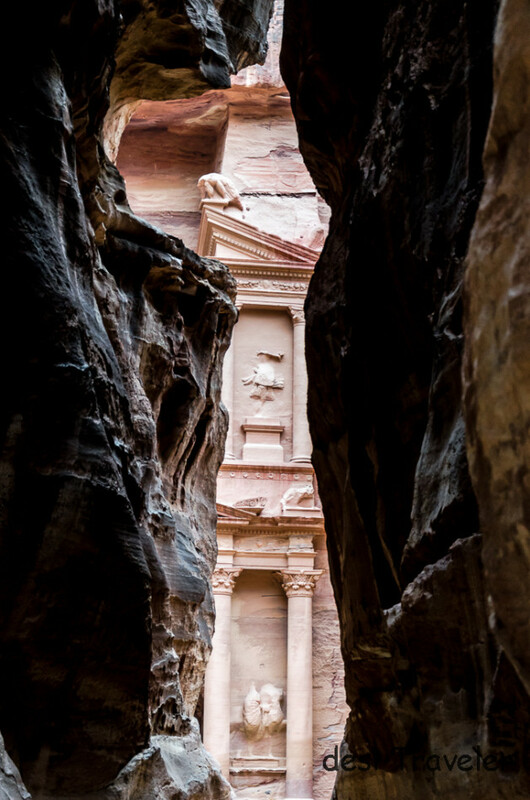 A lot of people return after The Treasury, not realizing that Petra has more treasures besides the treasury. So after your cup of joy overflows at the bounties of the Treasury or the Al Khazneh, continue with your journey further and you will find many ancient treasures from temples dedicate to Egyptian and Roman Gods, a roman style theater, but the best of the treasures is kept at the end. 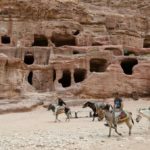 As you slowly climb the 800 or so odd steps towards the summit passing though narrow paths, steep canyons, donkeys racing and Bedouin women selling trinkets you are treated with one treasure after another, some small and some hidden with only a signboard pointing in its direction. 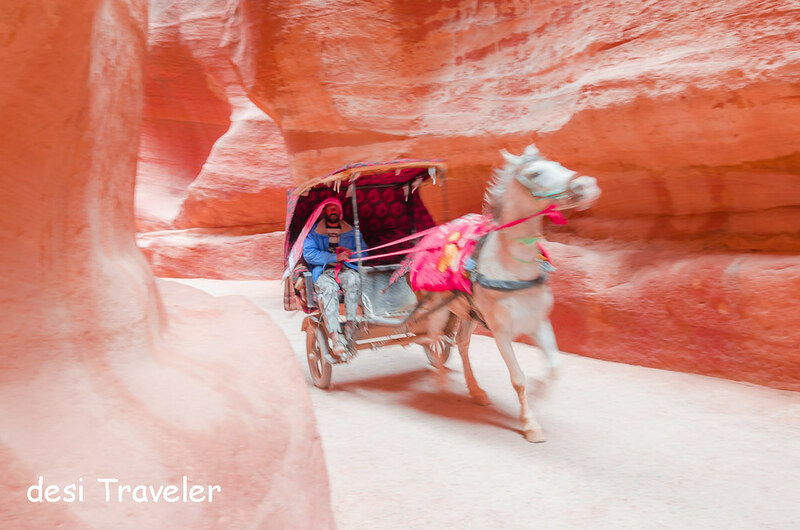 I don’t think you can do justice to Petra in a day, if you truly want to explore even the major monuments in Petra you still need a minimum of 2 days. Unfortunately most of us do not have that amount of time and we are always in a hurry to click pictures and move on. Same was the case with me due to time constraint but I still wanted to reach one of the highest points on the trail where I clicked the picture of the Monastery which has Byzantine influence. You can see most of the Valley from the top, and there are some shacks selling coffee, fresh juice, Tea and Bedouin Chai near the Monastery at the top. 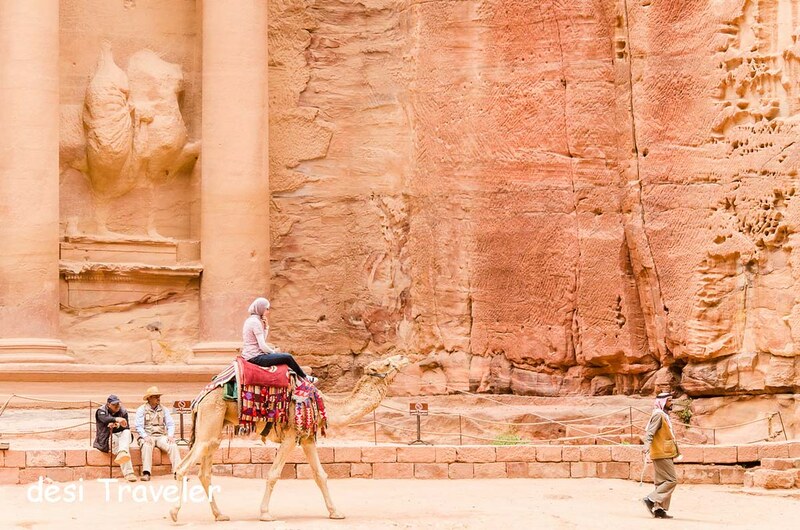 The walk itself in Petra is very enriching experience as you look at thousands of year old monuments, click pictures of Bedouin Camel Herders and haggle with shopkeepers who have a special deal for you. 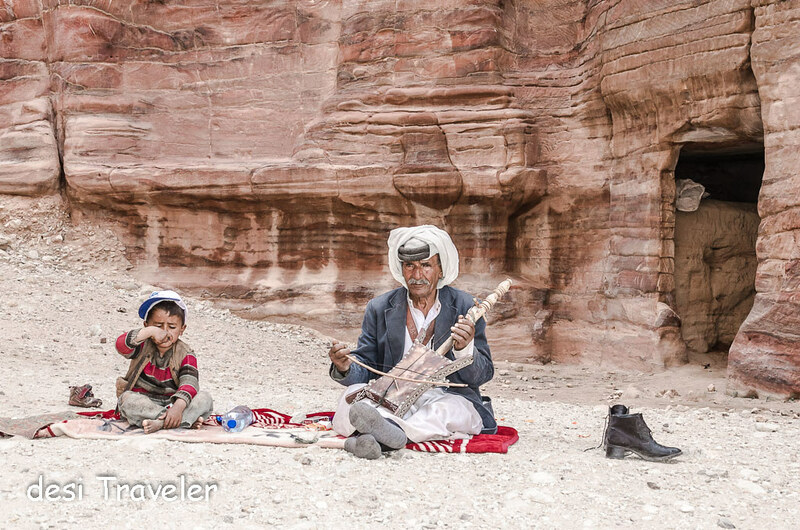 But my favorite memory is of listening to this old Bedouin man playing a Rebaba or Rabab, a soulful string instrument whose descendants can be found in every part of the world in form of Guitar to Sitar and everything in between. Dead Sea to Petra distance is 226 KM and it takes about 3 hours by road. The roads in Jordan are good and traffic is well-disciplined. People drive on the left side of road in Amman just like in US and most of continental Europe. More information on Petra can be found here on website of Jordan Tourism Board who were my hosts for the trip, and here on Visit Petra site. 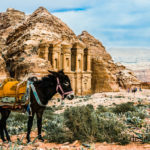 Where to Stay in Petra: There are many wonderful hotels in Petra for all budgets from starting from backpackers to 5 star hotels so you can pick as per your need. 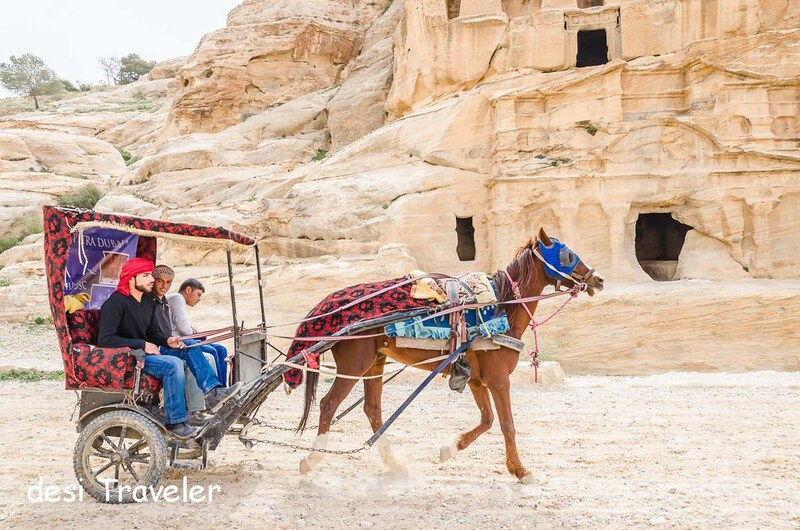 Read this earlier post about How safe is Jordan to Travel, if you have any questions related to safety of travelers in Jordan. Good work on the writing and thank you for the detailed description. Seems like you did quiet a research out there… I’ve heard about Petra but this rose colored beauty has never fascinated me before like now reading from your witty lines and comical inclusions. Well written and now that’s become an added reason for me to visit the place in the near future. Thanks a lot Afreen….really appreciate you taking time and your kind words. 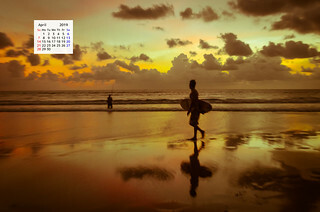 All the best for your travels…. 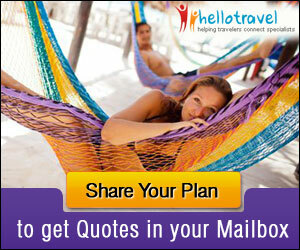 Thanks for sharing such wonderful post with equally captivating pics. thanks Swati..appreciate your kind words.. I am JEALOUS… wow… this is one place that has always been one of my dream destination… Superb photographs and written very well. I can see you were awed by these mighty structures. How could one not be! I think the late evening picture is also good. Love the soft lighting! Very well narrated Prasad. I feel all these places have so much history that a lifetime isn’t enough to learn about them. And the people living in those single colored very hot places knew how to survive as well!